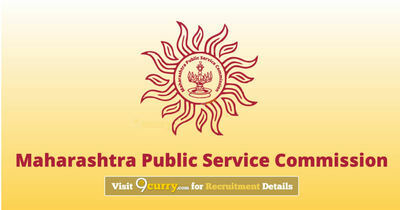 MPSC Recruitment 2019 - Apply Online for 190 Civil Judge Posts in Aurangabad, Mumbai, Nagpur, Maharashtra. Online Applications are invited by Maharashtra Public Service Commission (MPSC) from 01 Feb 2019 to 22 Feb 2019 11:59 PM for 190 vacancies. 21 - 35 years as on 01 Feb 2019. Degree in law/ LL.M/ LLB with knowledge of Marathi language. Eligible candidates may apply online at MPSC's website (direct link is given below) from 01 Feb 2019 to 22 Feb 2019 11:59 PM. Go to "Online Application" & Select the desired post.